The main focus of attention when it comes to Irish service in the American Civil War is understandably on ethnic Irish regiments and brigades. However, as has been highlighted many times on this site, the vast majority of Irish servicemen experienced the conflict outside such formations. But in the army there was one group of non-ethnic units where it was extremely common to find large numbers of Irishmen– the Regulars. Service in the regular United States Army had long been traditional for the Irish. Indeed, when the Confederates opened fire on Fort Sumter to commence the war in April 1861, there were more Irish-born than American-born soldiers inside the fort. The prevalence of Irishmen in the Regulars can be demonstrated in a number of ways, such as wartime contributions to the Irish Relief Fund. I wanted to take a look at some of these Regulars through the pension files, focusing on a specific engagement– the Battle of Stones River, Tennessee. I decided on Stones River for a number of reasons. I was fortunate enough to be given a tour of the battlefield in late 2014 by Tennessee State Historian Dr. Carroll Van West. One of the standout memories was walking through the fading winter’s light of Stones River National Cemetery with Van, looking for men with Irish surnames. As fate would have it, that visit led to an archaeological connection with the MTSU Center for Historic Preservation in Murfreesboro, and I was delighted to meet MTSU (and Murfreesboro native) Michael Fletcher in Cork, in advance of him coming to work with us in Ireland for a few months later this year. As an Irishman who has developed something of a link with Murfreesboro, I found myself wondering anew what it was like for those Irish who were there as 1862 had turned to 1863, fighting over the ground I had visited. The specific focus of this brief examination is on Irish in the Regular Brigade of Lieutenant Colonel Oliver L. Shepherd, part of Major-General Lovell H. Rousseau’s division of Major-General George Henry Thomas’s Center Wing, Army of the Cumberland. Shepherd’s charges included battalions of the 15th, 16th, 18th and 19th United States Regulars. The first of these men we meet is Co. Donegal native Barney Haggerty, a 36-year-old former laborer who had become a private in Company F of the 19th United States Infantry, 1st Battalion. Barney was originally from the parish of Drumhome (or Drumholm) in south Donegal. He had buried his mother there in 1842, before emigrating to the United States as an adult, with his already elderly father John and at least one sister. Ten days before the Battle of Stones River commenced, Barney took an opportunity to write home to his 83-year-old dad in Newark, New Jersey. Yours of the 2nd inst came safely to hand and in answer to your inquiry I will state that your father Daniel Devine died on the 10th day of February 1863 and was buried by the side of his friends from the same Company, and the same Regiment, five of them is buried on the Battle Field of Stone River 2 miles from Murfreesboro on the turnpike towards Nashville, and is called the Regular Grave Yard, all the Regulars are buried here, those killed in Battle, and them that died since, and a HeadBoard to each one with his name company battalion and regiment. 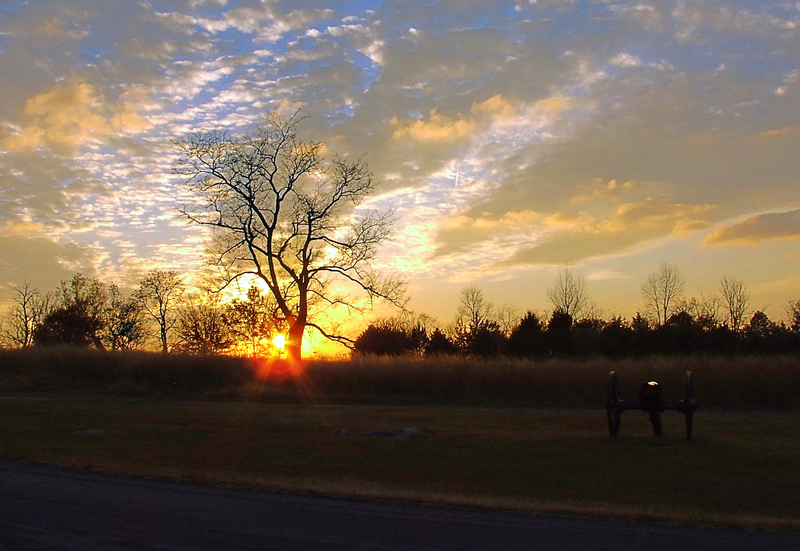 The experience of the Regulars at Stones River was one repeated on many battlefields of the American Civil War. 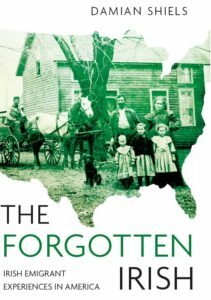 Whenever a Regular unit suffered serious casualties was sure to be a bad day for many Irish immigrants families, as this small sample demonstrates. 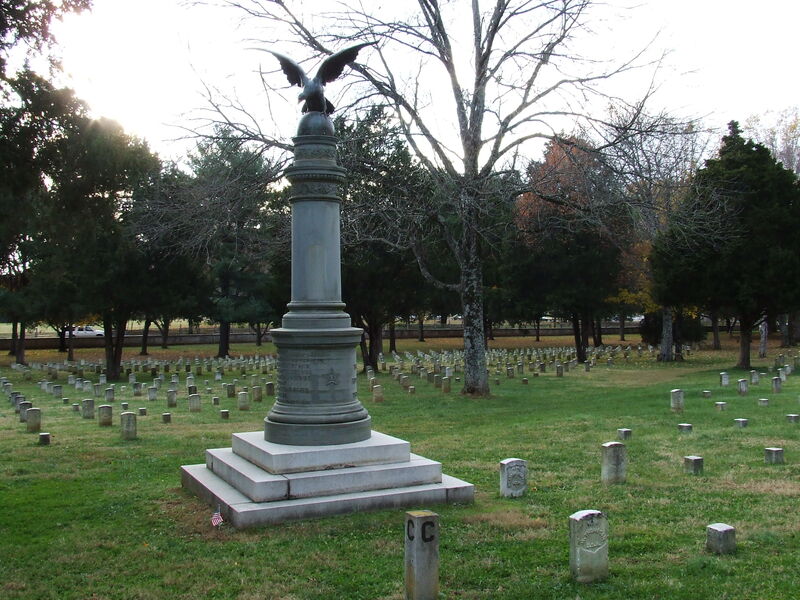 There is no doubt that there were many more Irish dead and wounded among Shepherd’s Regular brigade at Stones River than have been identified in the cursory review above. Telling the story of these Regulars is something I hope to do significantly more of in the future of the site, as they remain one of the least-studied of the Irishmen who experienced the American Civil War. Bernard Haggerty Dependent Fathers Pension File WC120199. Edward Cunningham Dependent Fathers Pension File WC113532. Peter Gilooly Dependent Mothers Pension File WC140886. Thomas O’Neil Widows Pension File WC115554. Thomas Brennan Widows Pension File WC140487. Daniel Divine Widows Pension File WC43721. Official Records of the War of the Rebellion Series 1, Volume 20, Part 1. Consolidated Report on Casualties in Brigade U.S. 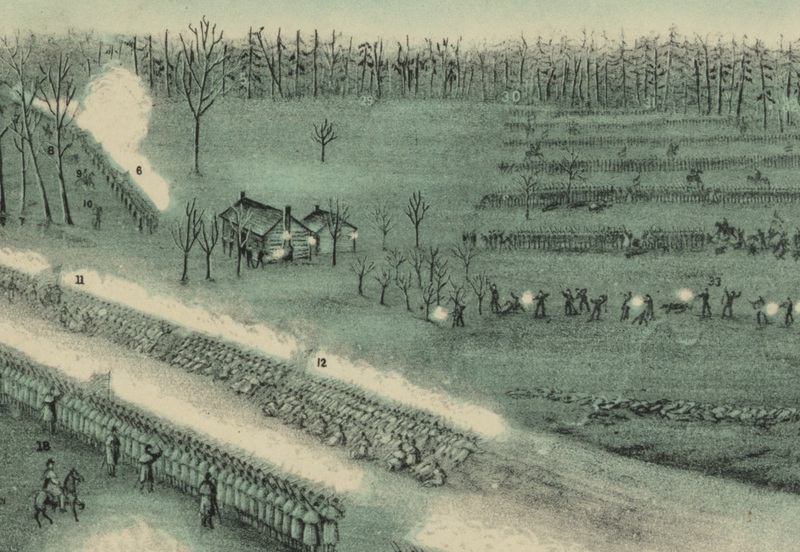 Regular Troops, Third Division, Center, Fourteenth Army Corps, in the Five Days’ Battles Before Murfreesborough, Tenn., Commencing December 31, 1862 and Ending January 4, 1863. Official Records of the War of the Rebellion Series 1, Volume 20, Part 1. Return of the Casualties in the Union Forces & c.
Official Records of the War of the Rebellion Series 1, Volume 20, Part 1. Reports of Lieut. Col. Oliver L. Shepherd, Eighteenth U.S. Infantry, Commanding Fourth (Regular) Brigade. Cozzens, Peter 1991. No Better Place to Die: The Battle of Stones River. Kolakowski, Christopher L. 2012. I Will Die Right Here: The Army of the Cumberland at Stones River. Hallowed Ground Magazine, Winter 2012. McDonough, James Lee 1980. Stones River: Bloody winter in Tennessee. Civil War Trust Battle of Stones River Page. 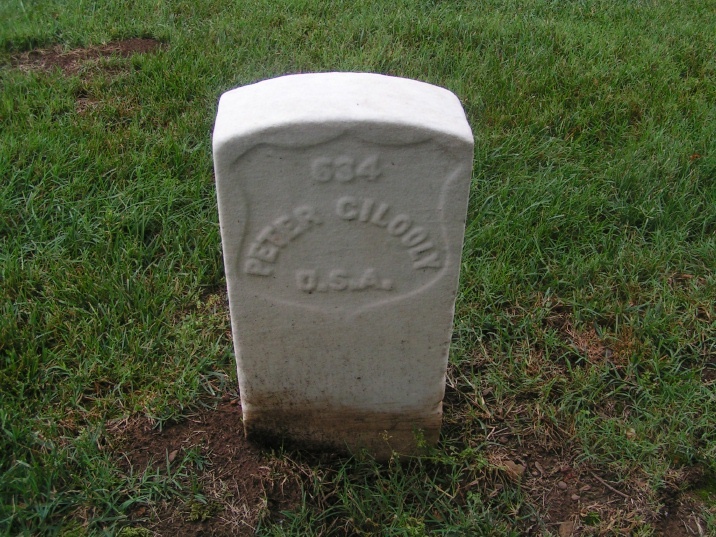 Peter Gilooly Find A Grave Memorial. 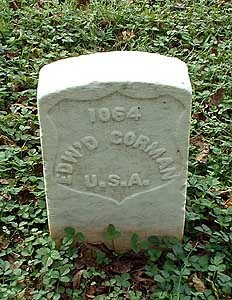 Edward Gorman Find A Grave Memorial. As always, I appreciate your dedication in bringing the stories of the oft forgotten to those who were left without answers. Thank you. I was pleased to read your post re the Irish in the U.S. Regulars. I had communicated with you in the past and noted that Co. C of the 2d U.S. Infantry (which has a long history), as of 30 June 1861 consisted of 2 officers and 78 enlisted men, 65 of which were foreign born. Of those 65, 35 were from Ireland. One of them, Patrick Breen, is my great grandfather. He enlisted in 1855 (having emigrated from Co. Kerry in 1850) at age 16 as a fifer. He swapped his fife for a long gun and served 22 plus years in the Regulars (one of “Sykes Regulars.”) According to Tim Reese who wrote a book about the Regulars, Breen was one of only 3 in Co. C who made through the entire Civil War. He was wounded at Gettysburg but managed to serve many more years after that battle. According to one source, Patrick was a “call boy” in a major N.Y. hotel and worked as a farm hand before enlisting, probably for the steady pay. I remember well! I actually only recently ordered that book on the Sykes Regulars so looking forward to having a read of it. I am very keen to do a lot more work on the men of the Regulars. Thanks for the support! Thanks John, I really appreciate your continued support! Damian, I have seen estimates that 4 out of 5 Irish in the Union army served outside of “ethnic regiments”. What do you think of that estimate? Sorry I missed this- that is an interesting figure do you know where that comes from? It sounds plausible enough I suppose, there were only two brigade strength organisations, around 21 what we might term ‘green flag’ units (and that is stretching it a bit). A little under 5,000 men died serving in those units, so if we do think that 25-35,000 may have died in service then that would be in the ballpark. Thank you for the work you do. It is a wonderful thing that these soldiers’ stories are not forgotten. No problem at all Carol, many thanks for reading!